So many people hear about Elimination Communication and wonder how infant pottying could possibly work for them. Whether you’ve got 3 kids or one on the way, a full time job or 2 hired nannies, you want to continue using diapers or go completely diaper-free, you live in an apartment in NYC or on a homestead in Iowa…EC can work for you and my book will show you exactly how to do it. the digital book a vibrant 339 page digital book. easy to search and hop around. read instantly on any computer, smartphone, or tablet & save trees. the audiobook (included in all packages) listen to the whole Go Diaper Free book, on-the-go, from any device. professionally recorded, divided up by chapters, super easy to learn. Approx 5 hours MP3 format. paperback book (available in paperback package only) although Andrea highly recommends sticking to the digital learning format, which is very hands-on, there are a few paperback books available for a limited time. private video library over 45 minutes of instructional EC videos. titles include what a pee/poo signal and potty looks like, observation time, learning signals & timing, and cueing along with a pee/poo, city pottying, car pottying, nature pottying, and more. private downloads library a collection of 35+ tools and downloads including fill-in-the-blank timing and signal logs, a guide for caregivers, a guide for dads, a letter to the daycare, and more. troubleshooting knowledgebase the top 70 known EC challenges and their solutions, organized in a searchable format. add your own questions, too. 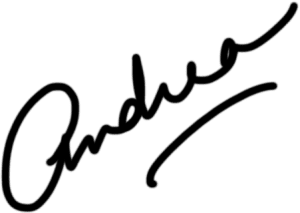 free lifetime updates anytime Andrea updates or adds to the digital book, audiobook, or bonus materials, you'll get the newest version sent to your inbox. the freshest EC information, all the time. Just the introductory Elimination Communication class at most natural parenting centers usually costs about $35 for 2 hours…and what are diapers going to cost? You can download my book instantly and begin Elimination Communication today. The Go Diaper Free digital package is currently $97 $37. Download the first 20 pages, free. 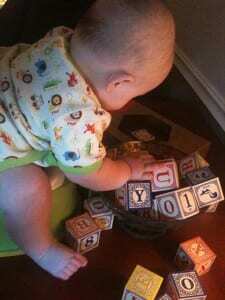 Elimination Communication (like offering nap time and breastfeeding) just plain starts early. Babies are born signaling, born wanting to stay hygienic and dry (to not sit in their waste)…born ready! 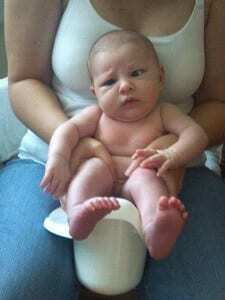 Conventional potty training theoretically begins when baby is “ready,” ranging from 18-36 months of age. You might not be aware that EC can start on day one, even in tiny, doable ways (though you may start at any age – 0-18 months – that works for you)…. I know first-hand how difficult it is to be pregnant, have a newborn, or just to be living your life, day to day. We live in such a busy time (and are often doing it all alone)! That said…I would not put off starting EC…and skipping out on changing most of the poopy diapers makes the up-front work worth it. : ) Whether you choose a part-time or full-time potty practice, if you are able to start today (even in some small way), you’ll someday look back and be grateful you did it! start (or learn about) EC sooner. Pregnant? Consider this your best research source and read up. Brand new parent? Start EC before baby gets mobile and you both become reliant upon the diaper. Have a mobile baby (6-12 months)? It’s the perfect time to start reversing that diaper habit. Have a young toddler (12-18 months)? Many of my readers follow my guidelines for starting EC with this age and find great success. It is honestly never too late to start….you’re right on time. And this is the only place you'll find clear instructions on how to do EC at this age. Just the introductory Elimination Communication class at most natural parenting centers usually costs about $35 for 2 hours…and what are diapers going to cost? You can download my book instantly and begin EC today. The Go Diaper Free digital package is currently $97 $37. Want to see more? Here's a sample. Here's what parents are saying about my book. Thanks for your motivation! I wouldn't have been able to start and keep this up without you, the book and the community (unfortunately, I don't know anybody around me doing EC as well)." "I’ve been reading your website and emails for weeks now and trying to do EC… and I have just finally decided to commit and buy your book so I can do it right! Now, I have the Go Diaper Free ebook open on my iPad, and a bare baby bottom on my lap! :) I haven’t read more than a couple pages in one sitting of any book since she was born 3 months ago." "Your book has helped me take the leap into EC. Had I known it’d be so easy, I’d have started earlier. My baby is now 13 weeks old. I started only a week and a half ago and he’s already waiting. I haven’t got much time to read these days…the reason I like your book so much is because it is a much more concise, easier read than all the others out there." Yeah, but Andrea...What if it doesn't work for me? I understand why folks fear that EC won’t work for them or their unique baby. The fear lies in the unknown, my friends! But get this: over half of the world’s infants are toilet trained by 1 year old. Infant pottying does work. For over 200,000 years, in some way or form, it has worked. EC works because your infant was born ready. However, if you don’t decide on a solid starting point and put a tiny bit of effort into it in the beginning (even just one solid day), just like learning to breastfeed together, EC might not work so well, and you probably won’t want to maintain it. But you know what? I believe in you. I’ve made it simple for you. Billions of caregivers across the world have blazed the trail. Start EC with my book today and you will not regret it. and lacks convenience no matter when you begin. Just the introductory Elimination Communication class at most natural parenting centers usually costs about $35 for 2 hours…and what are diapers going to cost? You can download my book instantly and begin EC today. 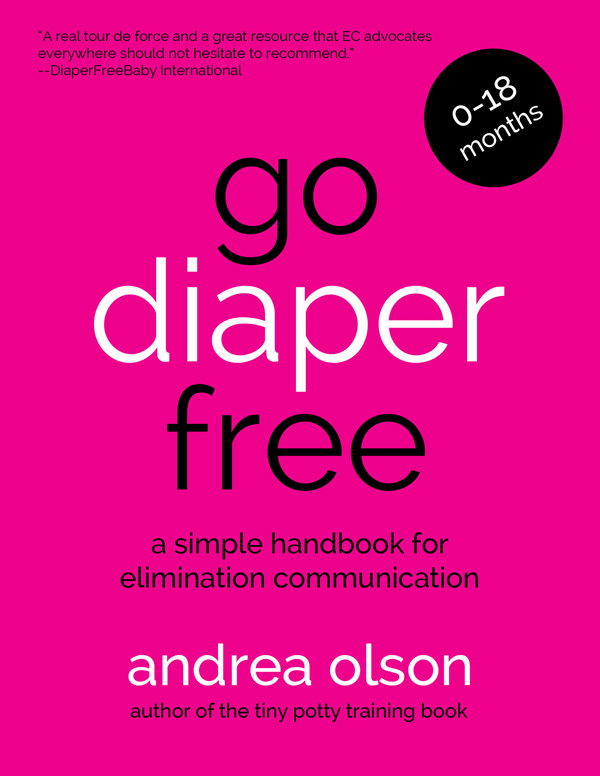 The Go Diaper Free digital book package is currently $97 $37. 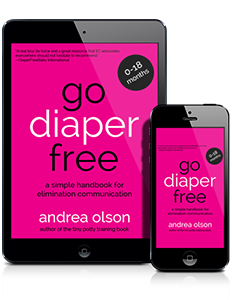 Andrea Olson, MA, is a DiaperFreeBaby Mentor who has condensed all the good info on EC out there into a concise resource, vivid and clear, to help make it easy for parents of 0-18 month babies to start infant potty training with ease. She has spent the last several years working with 1000’s of parents, one-on-one, to solve the biggest EC challenges and make the practice of pottying their babies efficient, effective, and most of all…enjoyable. She holds a Master’s in Psychology and is endorsed by DiaperFreeBaby.org…and is mother to 5 children. She lives in Asheville with her husband, children, cat, and a bunch of chickens. If you have any more questions about the book, please shoot me an email. I’m happy to personally reply! Thanks for taking the time to read this info on starting EC with your baby. I wish you a very happy journey! PS – As a work-at-home mother (WAHM), I appreciate the immense gift you give through your purchase today. PPS – If for any reason you are not completely satisfied with the quality of my book, you may request a full, no questions asked refund within 5 days of your purchase (not download) date.